This month we take a leap in quite a different direction to bathrooms, stairs and exercises to help you stay on your feet. I received a particularly vitriolic ezine from a Fundamentalist Christian group (amongst whom I claim to be numbered!) that requires a response. I hope you enjoy this little laugh. We won't take ourselves tooooo seriously. Being Sunday, many of you will today be off to talk with God. I offer you a couple of divergent places of worship where you might go for healing this week. The theme one way or another will be crafted most likely around the central Biblical theme, "but we preach Christ crucified, a stumbling block ..."
On Monday morning about 100 000 priests of this Order will be found at worship. Look out for this symbol where you will find them presiding over the Faithful. They will be on the look-out for sacrifices, throwing their ritualistic bones about and racking painful joints. I expect a few of you reading this are lay people who may be attending the ceremony. The founder of this Order, was a man called Daniel D. Palmer, a controversial High Priest certainly who also dabbled in Magnetic Healing, whatever that is. Although he set himself up as a new prophet of the times (in 1895), even he would be willing to give credit to an ancient called Hippocrates who is sometimes credited with being the first to discover that racking "dem dry bones" could restore health to the body. Both of them, men of dubious character! A foundational doctrine of classic chiropractic is the vertebral subluxation. (Wikipedia). It is not something that can't be seen or measured, which is in contrast to the medical definition of spinal subluxation as a gross misalignment of a joint that can be objectively measured. Asclepius was half man, half god, being son of Coronis, a human woman, and Apollo. But, pregnant with Asclepius, Coronis was unfaithful to her husband Apollo, so he had her burnt at the stake. At the last moment, Apollo sorrowed for his unborn son and, pulling out his dagger, sliced open Coronis’ belly, the first C-section, handing the babe to the centaur Chiron who became the child's tutor in the art of Medicine, and giving him the name Asclepius, “to cut”. Also, the goddess Athena gave Asclepius a magic potion made from the blood of the Gorgon to use in addition to his great skill with the scalpel. If taken from the right side of the Gorgon, the potion has a miraculous effect and is said to be able to bring the dead back to life, but taken from the left side it is a deadly poison. And so it is to this day with only a chosen few knowing whether the prescribed potion is from Gorgon’s left or right side. Athena's great gift to the world, the olive. A story. Asclepius was so taken with the healing properties in the venom of snakes that he encouraged them to creep about his clinics amongst his patients, and eventually he had a staff with a snake entwined around it carved for him. However, Asclepius then angered the gods by demanding payment from his patients. After one such gross misdemeanour, when Apollo’s sister Artemis implored her nephew Asclepius to raise a friend from the dead, Zeus was so angered that Asclepius dared worship the usurper god, Mammon, that he struck Asclepius dead with a thunderbolt. 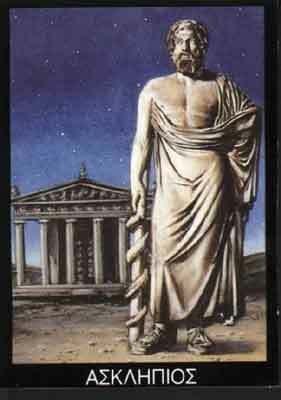 Zeus then repented of his anger, realising how much good Asclepius had done, despite his demand for great riches, so he made him into a god, placing him in the constellation of “The Serpent bearer”. Led by a famous priest called Hippocrates, a healing sect known as the Asclepiads claim to this day to be the descendants of Asclepius. Only to them is revealed the knowledge and mystical power of healing from the great god Asclepius. You can even visit a shrine in honour of Hippocrates on the island of Cos. It is of course through the great influence of Hippocrates that the Order of Asclepius has spread throughout the world. You can find them plying their trade on almost every street corner, still under the influence of their mentor and god, Asclepius. Here you can see a group of Asclepiads at work on a painful coccyx. Alternatively you can see how the Palmerites would treat a painful Coccyx. Yang represents hot, excited, or active aspects. 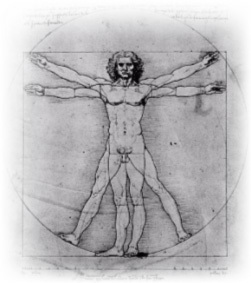 A major theory is that health is achieved through balancing yin and yang and disease is caused by an imbalance leading to a blockage in the flow of Qi, the vital energy or life force that regulates a person's spiritual, emotional, mental, and physical health, flowing along pathways known as meridians. This priesthood unblocks Qi by thrusting sharp little needles into certain points on the body that connect with these meridians. An anecdote: I had the misfortune to lose a patient this week who worships regularly at the Sunday shrine. She consulted me about three weeks ago with quite severe pain in the shoulder of some six months' duration. She had been consulting an Asclepiad without much success. Whilst the pain was nearly 50% less she was still wakened every time she lay on that shoulder, so I suggested an additional consult with a Yin-Yang priest I know. Oh dear, what a mistake! Didn't I know that ALL healing from the East comes straight from the heart of the Devil? And that from Greece? 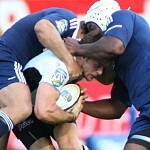 More about how those of the Order of Palmer would treat a painful shoulder. In the Eighteen century the Asclepiads were using harsh treatments like blood-letting, leaches, purging, blistering and toxic substances like sulphur and mercury, and because they refused to wash between treatments it became known that they were in fact spreading infections. One of their adherents, a man called Semmelweis, became a turncoat and, outraged by the indifference of his fellow Asclepiads to cleanliness, began writing open and increasingly angry letters to prominent European obstetricians, at times denouncing them as irresponsible murderers. Indignantly the Asclepiads asserted that Semmelweis was losing his mind and had him committed to a mental asylum where he died 14 days later, allegedly after being severely beaten by the temple priests. Semmelweis' life was sacrificed at the Asclepiad alter, but ultimately he became credited with the need for sterilisation of all instruments, starting with the hands. To this day, spreading of infection in their temples remains a problem, especially now with Methicillin-resistant Staphylococcus aureus (MRSA). Another Asclepiad turncoat by the name of Samuel Hahnemann, having few effective and safe medications for treating his patients, proposed a new less threatening approach to treating illness. He started experimenting with different ideas, using his own body. Noticing that if he took Cinchona bark, used for the treatment of malaria, he developed malaria-like symptoms, leading him to consider that a substance may create symptoms that it can also relieve. Like cures like. In fact this was no new idea as the Asclepiad, Hippocrates, had already noted that recurrent vomiting could be treated with an emetic that would be expected to make it worse. However, his Asclepiad colleagues mocked Hahnemann, demanding to know how his tinctures, so diluted that no molecules of the original substance remained, only their 'energy', could possibly heal the body. For those who love to read, the novel "The Law of Similars" by Chris Bohjalian makes a great holiday companion. A Japanese man, Mikao Usui spent three weeks in worship at another temple called Mount Kurama where he received the ability to heal without depleting either his own energy, or that of the sick person. Healing without side-effects. This healing energy moves through the palms of the hands which are placed over the body of the patient. Worshippers at the other temples treat this relative newcomer with scorn. Since it is openly a spiritual practice, the Sunday worshippers have been particularly hard on Usui's priests. SATURDAY WORSHIP - Go Sharks! Do you suffer from Migraines? A common cause is the jaw joint. A punch in a Sharks maul, mouth being open too wide under anaesthetic, orthodontic remodelling of the teeth, and a host of other causes. Follow this link on ear and jaw joint pain, and you will find some exercises for your jaw joint. Read more about the TMJ and Migraine. If you suffer from a painful jaw joint, take an iceblock with you to the shower, and rub alternating ice and hot water on your cheek. Avoid chewing gum, and eating whole apples. Apples, the wonder food acclaimed by all the sects. Below is the cover of Frog in my Throat that you can order by clicking on the picture. 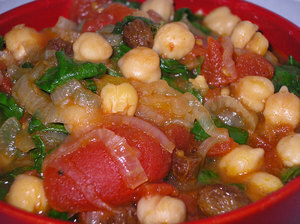 Chickpeas, also known as Garbanzo beans, belong to the legume family. Peas, beans and lentils. This means that they are rich in protein, particularly Tryptophan, a vital ‘essential’ amino acid that is used in the synthesis of Serotonin (helps you sleep well, and keeps you happy), and Niacin (vitamin B3) vital for many processes in the body. Another great virtue of Chickpeas is that they are rich in the water soluble fibre that gives you a ‘happy colon’. Troubles with constipation, Irritable Bowel Syndrome, diverticulosis and all those pre-cancerous bowel diseases? Eat Chickpeas. Actually Chickpeas are the most popular legume, eaten by more people world wide than any other legume. Just taste them and you will know why. For an excellent website @World Healthiest Food's page on Chickpeas (Garbanzo beans remember) click here. Wash and soak the Chickpeas overnight. Perhaps two cups, or more, they freeze well. Discard the water you soaked them, and rinse several times. Cover them with boiling water, and simmer for half an hour. Meantime, fry some chicken pieces in olive oil until golden brown. Simultaneously, gently fry a couple onions (I like them in butter! But then we eat so much fruit, salad and veg, that my cholesterol is way down in the normal range), throw in a few tomatoes, and your favourite herbs and spices (Perhaps ginger, garlic, coriander, cumin, and cinnamon), and cook gently for about 30 minutes. Throw in the chicken pieces and stock, and cook for another fifteen minutes. Leave the lid askew if it's too runny for your liking. Just before the end the end add a large handful of mung bean sprouts (tauge) or spinach. Like most dishes it will taste even better the next day. Don't!!! throw your chicken bones away!!! Freeze them because they are rich in an ingredient that has been proved to help control arthritis. Make a delicious stock for your soups, anyway. So easy. Choumi is a delicious, simple dish that you can make in just a few minutes if you have frozen cooked Chickpeas. Scroll down from Olive bread to the bottom of the page. My apologies if you found this flippant and in poor taste. The truth is that all healing has an undercurrent ... consider the priest him or herself rather than the symbol on the door of his temple! Should you have found this email helpful, feel free to forward to family and friends. We have a readership of 100, and for the considerable work put in, I would prefer it to be 5 000!